Ski Holidays to Sansicario in Italy 2017 & 2018. Sansicario is slightly overshadowed by its nearby competitors in the Milky Way region of Italy’s skiing hotspots, but this does not alter the fact that it is still a top resort with a lot going for it. The residual effects of the 2006 Winter Olympics can still be felt, with many facilities and activities remaining as the resort played host to multiple events. Sansicario is an excellent choice for families and large groups and it sits cloistered at the middle of a circular dip in the mountains, offering over 400 kilometres of slopes on which beginners and experts can ski unhindered. Although Sansicario is not as hyped for its night time activities as other Italian ski resorts it still has plenty to do in the evenings. Most of the hotels operate their own restaurants and bars for guests, so if you want something close to home there should be entertainment a few floors down from your room. If you do fancy venturing out away from the hotel then there is the popular Action Cafe, which is one of the livelier bars that Sansicario has to offer and there are local restaurants run by village residents. Sansicario is ideal for people who want a quiet stay that puts an emphasis on skiing and does not require you to carry on with strenuous aprï¿½s ski activities when you are away from the slopes. Although you will probably spend most of your afternoons out on the slopes, you can get a different angle on the local landscape if you check out the Husky Dog Rides which operate from the resort. These delightful dogs will happily pull you along, just as they have been doing for hundreds of years and of course these furry things will melt the hearts of every visitor to Sansicario. When the Winter Olympics came to Italy it was Sansicario that hosted the bobsleigh event, amongst others. This is now open to visitors and you can jump on for an experience that is as frightening as it is exhilarating. It is not the cheapest activity, partly because it requires expert supervision, but if you do not fancy having a go yourself you can go and watch others tackle the run from the safety of the spectators’ area. Because of Sansicario’s position within Italy it is possible to have a complete change of pace if you want an evening activity with a difference as sometimes there are excursions into Milan or Turin to see teams such as Juventus play in top flight football matches. In keeping with the low key nightlife of this small village, Sansicario is not filled with five star restaurants selling haute cuisine. What you get is a number of well run outlets which serve great food at reasonable prices, providing you with an option which will get you away from the confines of the hotel dining hall and into a venue in which you can experience Italian dishes served in a traditional style. Some may take trips to nearby Sauze d’Oulx or Sestriere if they want to further expand their culinary experience whilst staying at Sansicario, but most will be very happy with what they find right on their doorstep. Sansicario has slopes for all abilities, but it gets its best rating in the intermediate category, for which it achieves five stars. Experts, beginners and boarders can benefit from the three star rating which has been awarded to each of these categories, so no one group will feel as if they are being undersold on their time at Sansicario. There are four snowboarding parks in the surrounding area, although you will need to find transport if this is the type of thrill you are seeking and there is a 74 kilometre cross-country skiing route to broaden the range of activities. 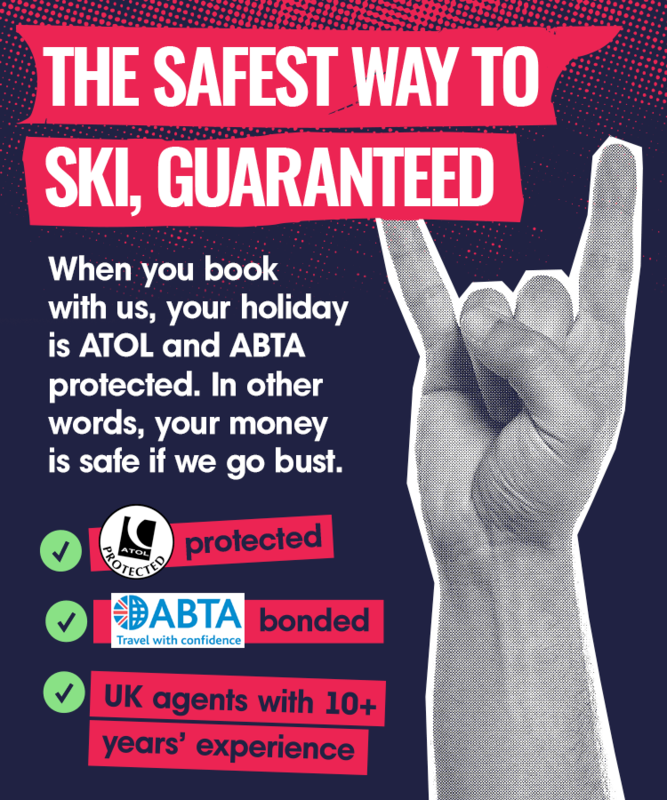 The cost of the lift pass for skiing here is very reasonable and pays testament to the fact that it is often overlooked because of its more established neighbouring resorts. Included in the price is a day’s skiing at Montgenevre, although you can opt to take part in the Ski Away Day, which gives you access to these slopes and then concludes with the Ski Boot Bop, which is essentially a disco dance arranged in order to help skiers wind down after they have spent a busy day on tricky terrain. Sansicario is a world class ski resort which together with all of its Italian siblings benefits from great facilities and beautiful scenery wherever you cast your gaze.